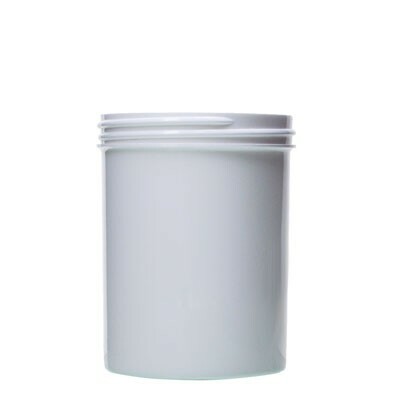 White Straight-Sided Round Plastic Jar with lid. Heavy Duty. Available in the following sizes: 4oz, 6oz, 8oz. and 16oz.